UPDATED: It is now being reported that troops are on their way to Libya. Hearing numbers from 50 to now 200 troops, via MSNBC. 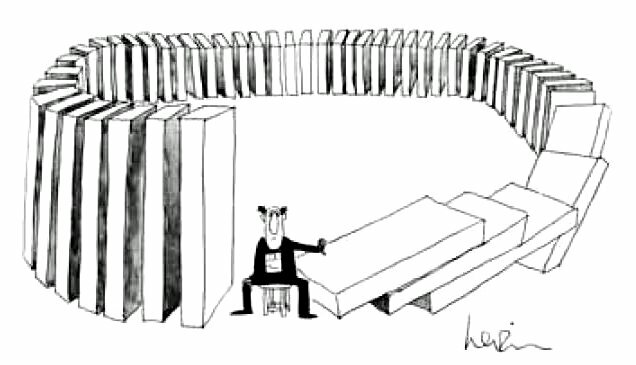 When 1 person sets dominoes into motion, they can ALL fall. And right now, we are seeing that play out with horrific results on the world stage. It all started with Pastor Terry Jones in Florida, long known as being one of America’s most inflammatory figures, and a California film-maker. They got it into their heads to make a lil film viciously slamming Islam– and a YouTube clip of the project went wild via the Internet, on the eleventh anniversary of the 9/11 attacks. Wow. That both the RNC and their presidential candidate are so willing to expose their own ignorance in both foreign policy issues as complicated as the nuanced layers of diplomacy, is staggering and clearly illustrate that neither is prepared to lead on an international level. 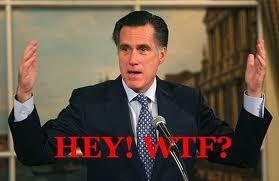 Romney is being widely panned for his eagerness to speak out so quickly. U.S. ambassador to Libya Christopher Stevens was killed when Libyan militants stormed the U.S. consulate in Benghazi Tuesday night. Stevens, 52, died as 20 gun-wielding attackers descended on the U.S. consulate, firing automatic weapons and rocket-propelled grenades, Libya’s Deputy Interior Minister Wanis al-Sharif told a news conference in Benghazi. The militants burned down at least one building in the attack. It’s not clear whether Stevens was killed by smoke inhalation or was in a car, which may have been hit by a mortar, as he tried to escape. Foreign Service Information Management Officer Sean Smith died from smoke inhalation during the attack. Two more Americans, possibly guards who were trying to get Stevens out of the area, were also killed. 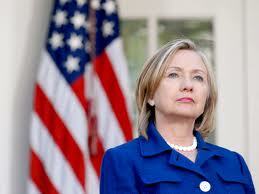 Moments ago, Secretary of State Hillary Clinton addressed the world; below is her released statement. It is with profound sadness that I share the news of the death of four American personnel in Benghazi, Libya, yesterday. Among them were United States Ambassador to Libya Chris Stevens and Foreign Service Information Management Officer Sean Smith. We are still making next of kin notifications for the other two individuals. Our hearts go out to all their families and colleagues. A 21-year veteran of the Foreign Service, Ambassador Stevens died last night from injuries he sustained in the attack on our office in Benghazi. I had the privilege of swearing in Chris for his post in Libya only a few months ago. He spoke eloquently about his passion for service, for diplomacy and for the Libyan people. This assignment was only the latest in his more than two decades of dedication to advancing closer ties with the people of the Middle East and North Africa, which began as a Peace Corps Volunteer in Morocco. As the conflict in Libya unfolded, Chris was one of the first Americans on the ground in Benghazi. He risked his own life to lend the Libyan people a helping hand to build the foundation for a new, free nation. He spent every day since helping to finish the work that he started. Chris was committed to advancing America’s values and interests, even when that meant putting himself in danger. Sean Smith was a husband and a father of two, who joined the Department ten years ago. Like Chris, Sean was one of our best. 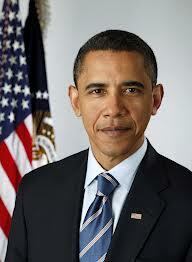 Prior to arriving in Benghazi, he served in Baghdad, Pretoria, Montreal and most recently The Hague. All the Americans we lost in yesterday’s attacks made the ultimate sacrifice. We condemn this vicious and violent attack that took their lives, which they had committed to helping the Libyan people reach for a better future. America’s diplomats and development experts stand on the front lines every day for our country. We are honored by the service of each and every one of them. It’s never too early for the United States government to condemn attacks on Americans and to defend our values. The White House distanced itself last night from the statement saying it wasn’t cleared by Washington. That reflects the mixed signals they are sending to the world. The attacks in Libya and Egypt underscore that the world remains a dangerous place and that American leadership is still sorely needed. I strongly condemn the outrageous attack on our diplomatic facility in Benghazi, which took the lives of four Americans, including Ambassador Chris Stevens. Right now, the American people have the families of those we lost in our thoughts and prayers. They exemplified America’s commitment to freedom, justice, and partnership with nations and people around the globe, and stand in stark contrast to those who callously took their lives. On a personal note, Chris was a courageous and exemplary representative of the United States. 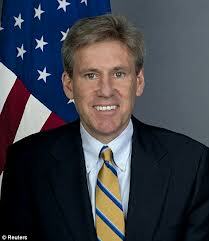 Throughout the Libyan revolution, he selflessly served our country and the Libyan people at our mission in Benghazi. As Ambassador in Tripoli, he has supported Libya’s transition to democracy. His legacy will endure wherever human beings reach for liberty and justice. I am profoundly grateful for his service to my Administration, and deeply saddened by this loss.